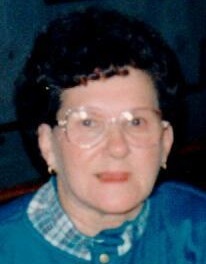 Lillian Riggins a former longtime resident of Wallkill, NY, passed into eternal rest on June 23, 2018. Lillian was the daughter of Anthony and Frances Gill from Kingston. She was the matriarch of the Riggins family; dedicated to raising her eleven children. Her continuous strength through life’s challenges has been an inspiration to her family, friends and community. She will be greatly missed by her children who have been especially inspired by her life. She is survived by her children Peter (Susanne) Riggins of Simsbury, CT, BettyAnn (Paul) Vegliando of Wallkill, NY, Kathleen Riggins of Rosendale, NY, MJ (Tim) Coddington of Wallkill, NY, Nancy (Bill) Hecht of Wallkill, NY, Patricia (Bruce) Campo of Montgomery, NY, Ellyn Riggins of Glastonbury, CT, Barbara (Jimmy) Demetriou of Pine Bush, NY, daughters-in-law Kathy Riggins of Schroon Lake, NY, and Karen Riggins of Wallkill, NY. Lillian was also blessed with 27 grandchildren Abby, Amy, Bradley, Brian, Carly, Chad, Corey, Danielle David, Derek, Jason, Jeffrey, Jennie, Jimi, Katie, Kelly, Kerry, Matt, Megan, Michael, Nicki, Peter, Rebecca, Sara, Stacy, Tim, Vanessa and 29 great grandchildren. Lillian is also survived by siblings Daniel (Mimi) Gill, Eleanor Curran, Terrence (Barbara) Gill, and numerous nieces and nephews. She was predeceased by her husband of 63 years Peter Riggins, sons Daniel, Timothy and Richard Riggins, brothers Edward, Robert, and Arthur Gill, and brother-in-law William Curran. The Riggins family would like to express their appreciation for the years of excellent care she received from the Hudson Valley Rehabilitation Extended Care Center, Highland, NY. Visitation will be Thursday JUne 28, 2018 from 4-7 pm at the Millspaugh Funeral Home, 22 Bank St.Walden, NY. A funeral mass will be Friday, June 29, 2018, 11 am at Most Precious Blood, Walnut St., Walden, NY. Burial will be in Modena Rural Cemetery in Modena, NY. In lieu of flowers, contributions can be made to Most Precious Blood Church, 42 Walnut St, Walden, NY or to a charity of your choice in her name.